Our company was incorporated in Malaysia on 30 October 1989 as a private limited liability company and was subsequently listed on the Main Board of Bursa Securities on 28 April 2011. Our principal activities are manufacturing and sale of plywood, veneer, Laminated Veneer Lumber (“LVL”), and investment holding. Plywood is the core product, generating the bulk of the Group’s revenue. Our plywood manufacturing mill is located at Keningau, Sabah. Over the years, with the vast experience and strong technical capabilities and know-how, we have become a major player in the plywood industry. Our company also emphases on environmentally friendly manufacturing and it was the first Malaysian plywood mill company certified as a CARB Certified Manufacturer on 2 October, 2008 by Professional Service Industries, Inc., a CARB authorized third party certifier. The CARB standards regulate formaldehyde emissions from wood products sold in California or used to make finished goods for sale in California. In additions, it was also awarded with the JAS certification by the Ministry of Agriculture, Forestry and Fisheries of Japan in 2009 as a proven qualified plywood manufacturer. JAS imposes stringent requirements on various aspects of production process. The JAS certification signifies the acknowledgement and endorsement of the high quality of the Group’s product which will enhance customers’ confidence. In January 2013, our company was accredited as a certified Lacey Compliant Wood Products Manufacturer by Benchmark International, LLC (BMH) under the BMH Lacey Compliance Verification (LCV) Program, affirming the legality of sourced forest products used in the manufacture of FLBHD products. BMH is an independent third party auditors who assist wood products manufacturers and importers in proving that their source of forest products are legal as required by the Lacey Act, which was passed by the US Congress in 1900 and 2008, by adding the protection of plants and plant products. This certification will give our US customers a higher degree of confidence and helps protect them from heavy civil and criminal penalties that can result from violating the Lacey Act. P.O. Box 576, 88856 Likas, Sabah, Malaysia. Locked Bag 13 SM-88, 89009 Keningau, Sabah, Malaysia. 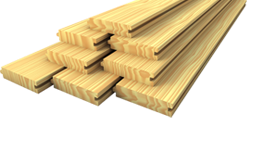 Our sales team has the capability to supply a wide variety of wood products. Please call or email us for your product enquiry.